The new Mind Expander Splitboard was built for the creative rider who weaves nimble and playful lines as they slash through the backcountry. 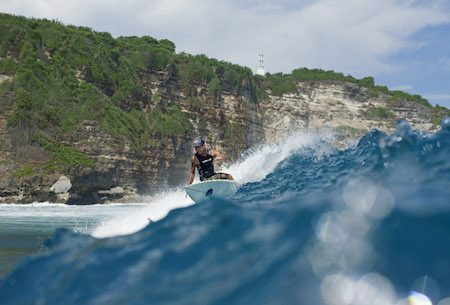 Designed by surf shaper Chris Christenson and Jeremy Jones, the Mind Expander Split features a Christenson Surf Rocker profile and a blunted nose for epic float in pow plus a full size tail for legit freestyle performance. The unique shape is matched with a short sidecut for snappy turn potential in tight trees and inner and outer edge Traction Tech for enhanced edge grip on icy skintracks or firm descents. For unmatched torsionally board connection in ride mode, the Mind Expander Split also features our Boltless Bridge and Karakoram Ultra Clips. Really, what more do you need? Click the link for all the details. You know it’s hitting critical mass when Osiris and Under Armour are fighting about who designed the original ugly puffer D3 (was it Brian Reid or Dave Mayhew), because, you know, Under Armor’s new A$AP Rocky sneaker is a direct design knock off. Meanwhile Vans is dipping their toes into the puffy pool with their new Varix WC. Guess those of us who like the sleek, classic stylings of the Vans Old Skool are going to just have to hang in for a minutes until they come back around. Fashion! Vans has partnered with long-time global skate team legend and musician Ray Barbee on some new colorways of the Half Cab Pro and Old Skool Pro. These Barbee-inspired Half Cab Pro and Old Skool Pros are dressed in deluxe emerald and burgundy suede uppers with white cotton laces and contrast stitching. Showcasing never before seen Vans graphics from the early 90’s, these functional Pro Classics highlight an elephant motif liner as an homage to Barbee’s friend and fellow Vans family member, Salman Agah, whose original pro board featured the graphic. 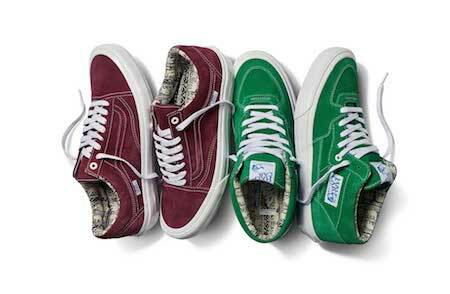 Vans really are the only skate shoes you’ll even need, but new colors are always good. For the official word from Vans, please follow the jump. Lately, we’ve been on the perpetual hunt for a sunscreen that works, is safe, and doesn’t wreck the environment. We’ve been told the best protection is Titanium dioxide and Zinc oxide. Well, turns out Gerry Lopez’s new sponsor TropicSport offers up just that combination. “I’m honored to be a TropicSport brand ambassador. The company and I are perfectly aligned in our commitment to protecting and preserving our oceans’ reefs and ecosystems. Their sunscreen works very well. I’ve used it surfing, in the water under intense sun for eight hours, one application and no sunburn. TropicSport does the job!” said Lopez. Guess we’ll have to give it a try. Follow the jump for all the official details, and if you haven’t been to a dermatologist in a while make an appointment TODAY. Chima Ferguson’s newest signature pro model, the Chima Pro 2, is hitting stores this moth in now color ways. Featuring Duracap-fused upper reinforcements, Vans Pro Lite Construction with evolved foxing tape for added flex and durability, and Vans’ new UltraCush Lite 3D footbed, the Chima Pro 2 is designed to withstand heavy impact situations. By blending the lightweight and responsive feel of UltraCush footbeds with a dual-density foam surrounded by a molded heel cup, the Chima Pro 2 delivers unsurpassed cushioning, boardfeel, and support for all different types of skateboarding—from ledges, banks, ramps and pools, to curbs, rails and skateparks, too. 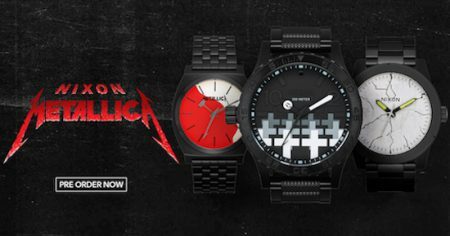 Plus, they look real nice with their mono-chromatic unstated style. Decentralized currency, hyper loop travel, and yes, smart wearables and shreddables. After almost a year off from the last ETT, No Board Left Behind, we bring you the first LED progammable base. Ground effects, dawg. It’s the perfect board for those times we’d like to communicate from the lift. We kinda want one. 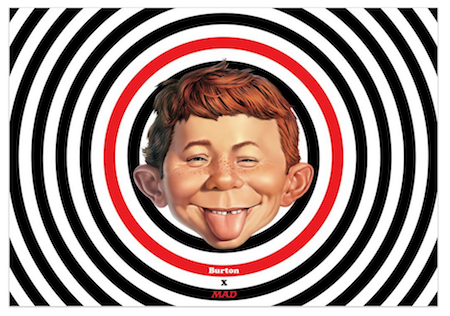 . .
Burton Snowboards has lined up Alfred E. Neuman and Spy vs Spy on the Deep Thinker and Free Thinker snowboards. If you’re wondering who these people are, they’re from an old humor magazine. Those who know will get a real kick out of the boards. Click the jump to see them. Vans is celebration the holidays by spotlighting the AVE Rapidweld Pro Lite. The look good, don’t they? The AV Rapidweld Pro Lite offers an advanced stitchless upper construction, providing a more durable and flexible panel that eliminates seam bursts and prolongs the life of the shoe overall. The AV Rapidweld Pro Lite achieves long lasting durability while still reducing the weight of the shoe. Utilizing Vans’ polyurethane-based Ultracush HD sockliner to keep the foot close to the board, the construction won’t pack out over time—providing the highest level of impact cushioning for which Vans is known. To complete the ultralight masterpiece, the AV Rapidweld Pro Lite employs Vans’ Duracap reinforced uppers, and Vans’ iconic original Waffle outsole. The AVE Rapidweld Pro Lite comes in two brand new holiday colors and if you order them today, you can get them in time for Christmas. Why build your own when you can collab? We never understood, but it’s nice to see that Volcom has realized that having good helmets with your logos on them is a great thing. “I was naturally excited to work with Pro-Tec having worn them throughout my vert career and to be able to instigate the never-been-done swirl injection mold [for Volcom] was what got me super hyped.” Remy Stratton, Volcom SVP of Global Skate and Snow. For the official word from Volcom and Pro-Tec please follow the jump.